Are you looking for a nice stag party venue in Krakow? Would you like to spend time in a funny, active way and try out a new attraction? 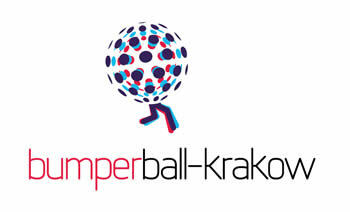 There’s no better place for a fantastic game than BumperBall-Krakow. Your Krakow Stag Do will surely become uforgettable! STAG DO Krakow offers really amazing options where you can try out a brand new sport with your mates. It’s called Bumper Ball, Bubble Football, Crash Ball or Zorb Football but it always means the same – a thrilling game, unforgettable fun, laughing and staying fit – it’s also good for your next day hangover 😉 After enjoying Krakow’s finest clubs open till early morning, you may need a re-energizing session to sweat out yesterday’s sins… How about a little wicked footy game? What can be more fun than knocking your lad off his feet with a powerful inflatable ball? Let’s be honest – day-time acitvities should involve something else than an early piss-up under the umbrella trying to go for the saying: “What makes you bad – makes you better”. But why not break the nasty habit for only an hour and refresh your intoxicated body while trying to score or tackle your opponent? No, nothing will happen to you and you will not have to get back home like the guys from Hangover movie.. To be ready for a wedding you and your friends should try this new team game where you can safely tackle your mates. It is not just an alternative for football, it is something way better! A new experience where falling down and bumping off an obstacle (or your opponent) mean a pleasant bump and roll-over being secured by the inflatable ball all the way up. Get in a big ball and try to play your best match ever. But be careful. It’s not so easy as it looks like. Bumper Ball can be played inside and outside so it is great for summer parties too. During the season we recommend outdoor venues or air-conditioned sports arenas to maximize the pleasure of the experience. Also, if you want to have some memorable, funny photos of the party and play BumperBall-Krakow has its own photographer who will make sure that all the most memorable tackles, roll-overs and crashes will be recorded and you will later get an exclusive HQ highlights video! You may choose from all available Krakow sports arenas and venues, e.g. Jerzy Dudek’s football academy arena located only a few miles away from the center! Remember the Dudek dance? Imagine that in a Bumper Ball? Also, please remember that our crew not only operates this games but has a much wider palette of touristic attractions to offer, tram party and boat party being the flagships of our so-far business activity on Krakow’s market. Having hosted thousands of international guests we have established our position on the local market and across vistitors. Our positive approach and endless energy will be crucial when planning a weekend and executing all bookings on the way. Our experienced crew is exactly who you need for assistance in order to make your Krakow stay memorable and easy-going.